Officials don't rule out possibility that Alberto Nisman was 'induced' to suicide hours before he was to testify about 1994 bombing of Buenos Aires Jewish center. AP - Argentina's government said Monday there was no indication that anybody else was involved in the death of a prosecutor who had accused President Cristina Fernandez of shielding Iranian suspects in the nation's deadliest terror attack, a declaration sure to be closely scrutinized. Investigating prosecutor Viviana Fein said the preliminary autopsy found "no intervention" of others in Nisman's death. However, Fein said she would not rule out the possibility that Nisman was "induced" to suicide because the gun was not his. According to the autopsy, Nisman had a bullet entry-wound on the right side of his head but there was no exit wound. His body was found inside the bathroom and blocking the door, which was locked from the inside and didn't appear to be forced, Fein said. There were no outward signs of a robbery. Nisman was heavily guarded by police because he had received threats. Late Sunday, the agents protecting him alerted their superiors that he wasn't answering phone calls, according to the Security Ministry statement. When Nisman's mother wasn't able to open the door, a locksmith was called to open it, the ministry said. A .22 caliber handgun and a shell casing were found next to Nisman's body. Monday afternoon, the presidency ordered the declassification of the names of the agents that Nisman had demanded as part of his probe, apparently an attempt by the administration to show transparency and avoid any accusations of wrongdoing. In a letter on her official website, Fernandez lamented Nisman's death, saying it generated "stupor and questions." She initially used the word "suicide" in connection with his death but later put a question mark next to the word. Congresswoman Cornelia Schmidt-Liermann, interviewed before the preliminary autopsy finding, said she had planned to pick Nisman up Monday at his residence and accompany him for his testimony. "Everybody who had contact with him the last 24 hours says he was confident" about his testimony, she told The Associated Press. "There is no indication, under any circumstances, that he killed himself." Schmidt-Liermann said Congress met Monday afternoon despite Nisman's absence, and many members signed a declaration urging a full investigation into Nisman's death and insisting that the investigation continue. Schmidt-Liermann and others who knew Nisman said he lived under constant threats on his life from Iranian agents and pressure from the Argentine government. Joseph Humire, executive director of the Center for Secure and Free Society, a Washington, D.C.-based think tank, said he was to testify with Nisman on a U.S. Congressional subcommittee in July 2013 but Nisman pulled out at the last minute. "He pulled out because of threats from the Argentine government" that he would be fired if he testified, said Humire. Nisman lived in Le Parc tower, a complex of luxury condos in the trendy Puerto Madero neighborhood of Buenos Aires. Reporters and others gathered outside Monday were not allowed to enter, the norm in such exclusive complexes, where many residents come and go via underground parking garages. Nisman was appointed 10 years ago by Fernandez's late husband, then-President Nestor Kirchner, to revive a floundering investigation into the bombing of the Argentine-Israeli Mutual Association in Buenos Aires. 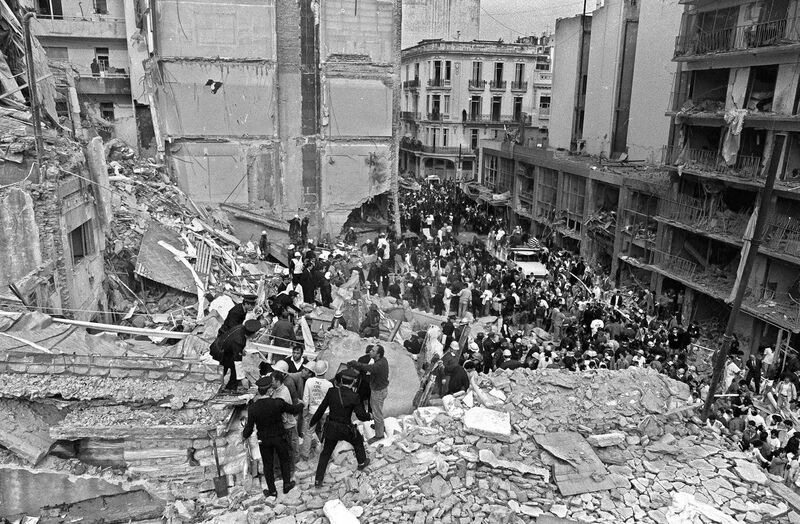 A small white van with several hundred pounds of explosives detonated in front of the seven-story building, causing it to collapse in the densely populated area of town. Argentina has one of the largest concentrations of Jews outside of Israel, with estimates ranging around 200,000, mostly in Buenos Aires. After years of inconclusive investigations and failed trials, an Argentine judge in 2006 accepted Nisman's request to order the arrest of a former Iranian president, foreign minister and other officials. Interpol later put most of them on its most-wanted list. But Argentina and Iran reached agreement in 2013 to jointly investigate the attack, a move viewed with skepticism by Jewish leaders who feared it would undermine Nisman's probe. Last week, Nisman accused Fernandez and other senior Argentine officials of agreeing not to punish at least two former Iranian officials in the case. He asked a judge to call Fernandez and others, including Foreign Minister Hector Timerman, for questioning. On Monday, Timerman said he was sorry to hear of Nisman's death. "What can I say?" he said from New York. "I'm simply saddened by the death of a person I knew and I hope that the cause of his death can be quickly determined." A federal judge had begun the process of deciding whether to hear the complaint and whether anyone should be summoned for questioning. Administration officials have called the prosecutor's allegations ludicrous. Fernandez's administration's popularity has waned amid rising inflation and other economic ills and Nisman's death could further cloud her last year in office. "It's impossible that he killed himself," said Estela Damonte, a 47-year-old museum guide, adding that she had seen Nisman on television last week and it was clear that he believed deeply in his case. Federico Valdez, who works at an insurance agency, had a different take. "Everything indicates that he killed himself," said Valdez, 62. "The bathroom door was locked from the inside, something even confirmed by the prosecutor's mother." 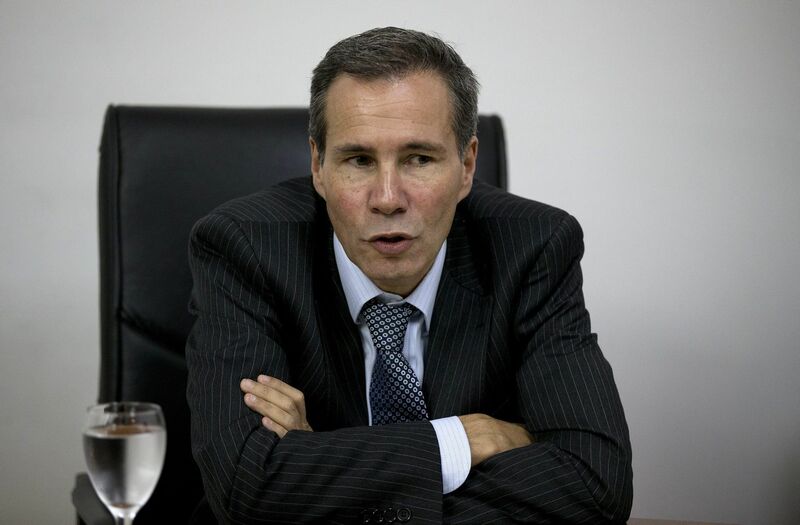 Israel's Foreign Ministry expressed "deep sorrow" over Nisman's death. "Nisman, a courageous, venerable jurist who fought intrepidly for justice, acted with determination to expose the identities of the terrorists and their dispatchers," a ministry statement said. Within hours after news of Nisman's death spread, a well-known group called "Indignant Argentines" called for demonstrations in several areas of Buenos Aires.